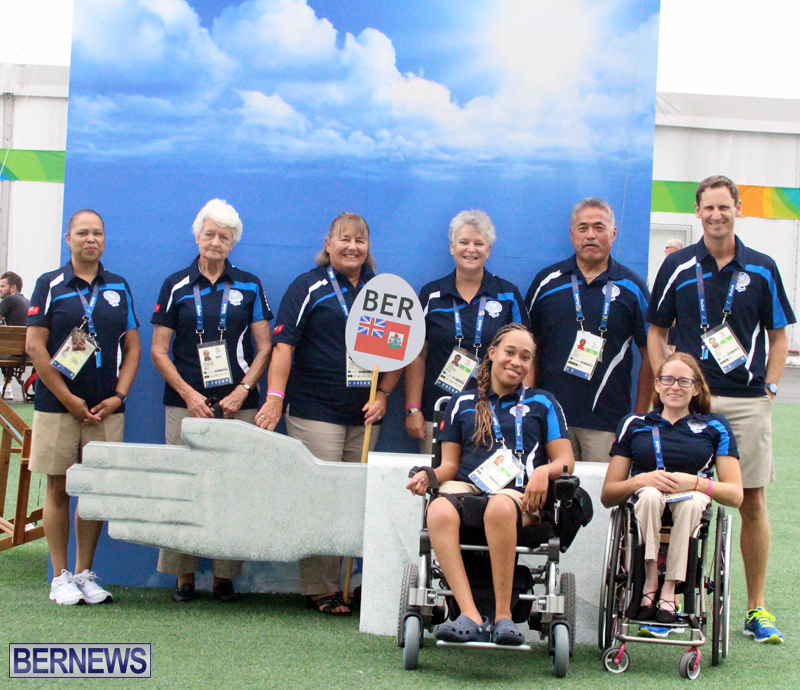 Bermudian paralympians Jessica Lewis and Yushae Desilva-Andrade are set to begin competition at the 2016 Paralympic Games in Rio, with competition dates ranging from September 8 to September 17 for the pair. Lewis will compete in the 100, 400m and 800m, while Desilva-Andrade will compete in Boccia. Both athletes are pictured below earlier this week in Rio with the Bermuda delegation. The 2016 Paralympic Games will take place from September 7-18 in Rio de Janeiro, Brazil, with approximately 4,350 athletes from 165 countries set to take part.